Longmire at Night, originally uploaded by The Bacher Family. 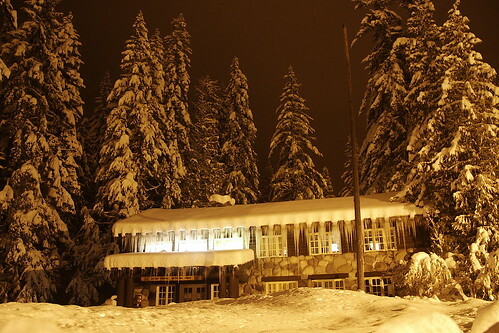 The Administration Building at Longmire, in Mount Rainier National Park, on December 22, 2008. I took this picture at night, lit entirely by the light of the nearby streetlamp, which gave everything such a beautiful amber cast. Merry Christmas, everyone!